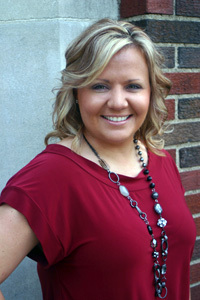 Kansas City, Kan. -- Bishop Ward High School is pleased to announce Mrs. Christin (Christy) Collins as the new girls’ varsity basketball coach for the 2013-2014 school year. Coach Collins comes to Bishop Ward with nine years of coaching experience at the AAU and high school levels, most recently coaching the last three seasons as the JV Boys/Varsity Assistant at St. Mary’s High School in Independence, Mo. She currently runs the KC ACT Running Rebels Basketball Program (Grades 4-11) with her husband Albert and his parents Albert Sr. and Gayle Collins. Coach Collins completed her education at Park University where she earned a Bachelor of Science in Business Administration and Management and a Master of Business Administration. While at Park University, Collins was a member of the women’s basketball team as an NAIA Academic All-American. Bishop Ward Athletic Director Greg Duggins sites Collins’ college playing career, high school coaching and AAU involvement as experience she will draw upon during the season.